Android users are able to choose from over 2.2 million apps in the Google Play store.1 There are countless ways that consumers can customize their devices and use the apps they want. Mobile apps are created by developers to serve the needs of consumers; like any other product, they identify a problem and come up with a solution, then compete with other solutions on the market. 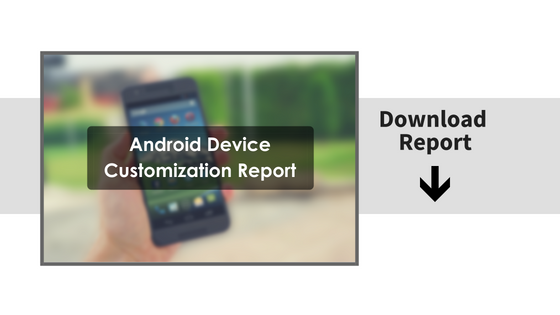 Given the breadth of options and opportunities for consumers to download apps for and customize their Android devices, how are these consumers engaging with and organizing their apps? We found that apps, even category leaders, tend not to be exclusively used; that almost all Android users customize their device and their home screen, often in significant ways; and that most Android users prefer their device come “ready-to-go” with some apps preloaded but still do download many new apps on their devices. As a result, there is a significant amount of competition in the mobile app industry: for downloads, for users, and for placement on their home screen, regardless of the presence of pre-loaded apps.